Medical air compressor / dental / laboratory / oil-free - EXTREME 2D 100L - NARDI COMPRESSORI S.r.l. Dental > Dental practice > NARDI COMPRESSORI S.r.l. Medical compressor for dental offices, for chemical laboratories and for those who want the air without humidity, with drier carbon or without dryer, tank interior painted anti-corrosion, with little water separator in the air outlet. The dryer automatically regenerates the active carbon, after each charge. Quiet and stable, designed to be placed even in places with high humidity. Low noise and vibration with almost absent. dental air compressor / medical / laboratory / oil-free Extreme 2D 25L. 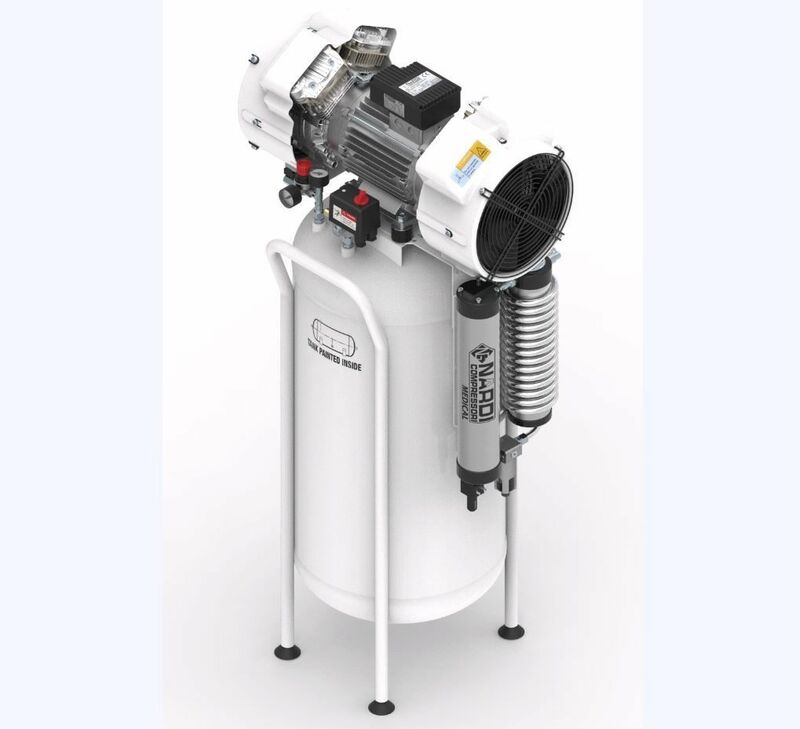 dental air compressor / medical / laboratory / oil-free Extreme 3D 50L. medical air compressor / dental / laboratory / oil-free EXTREME MP 270L. medical air compressor / dental / laboratory / oil-free EXTREME MP 500L.